Up until 1910, the census was conducted in June. However, it was moved to April to poll as much of the population before people traveled for summer vacation. Another change included a last-minute question addition about a person’s native tongue for any immigrants. A separate Indian schedule was used to survey Native Americans. Using the tribal details collected, you can cross reference Native American newspapers to verify and find additional information about their ancestors. How many children is the respondent mother to? How many are still alive. English speaking? If not, what language? Survivor of the Union or Confederate Army or Navy? Blind in both eyes? Deaf? An additional Indian Schedule included another page of questions for American Indians noting both the respondent’s and parent’s tribe. 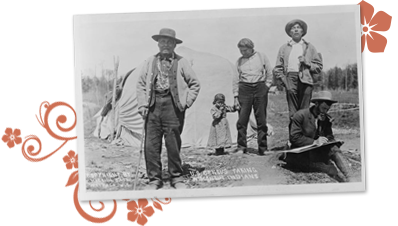 Oklahoma became the 46th state when the Oklahoma Territory and Indian Territory were combined in 1907. Charles Curtis became the first Native American Senator elected to office (1907). In 1909 American troops left Cuba for the first time since the start of the Spanish-American War. The National Associate for the Advancement of Colored People (NAACP) was formed in 1909. The Galveston, Texas hurricane in 1900 swept throughout Texas, killing 8,000, one of the most deadly natural disasters to this day. The first U.S. movie theatre, Electric Theatre, opened in Los Angeles in 1902. The 1906 San Francisco Earthquake and fire killed nearly 3,000 leaving the city in ruins. In 1903 the first two-way wireless communication was conducted between Europe and the U.S. 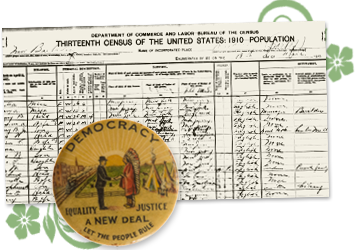 The 1910 U.S. Census provides a snapshot into this decade in U.S. history. 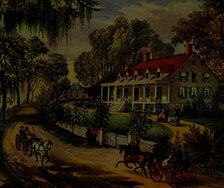 Learn about the events that shaped your ancestor’s lives. From the iconic traditions we still celebrate today to technological advances that paved the way for future generations. Find your ancestors in the 1910 Census records and then narrow your search to reveal untold stories published in local newspaper articles about your family members.